Tibetan Journey, where you can experience Tibet like no other destination in Himalaya makes you feel out of this world for some days as overland drive leads you into moonscape country with sweeping panorama of mountain views including Mt. Everest on this remarkable Tibetan Journey. 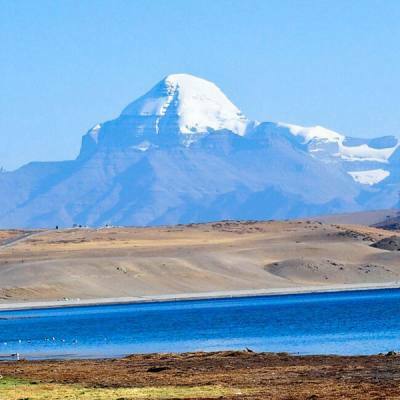 A great trip of a lifetime experience with adventure on worlds highest and largest plateau within arid and windswept landscapes with glorious views all along the tour, as our drive leads you through many Tibetan villages and farm land including Nomad Camps with Yak grazing over the green meadows. Tibetan Journey will be an awesome adventure of week duration where drive from Kathmandu leads you north towards central Himalaya region around Langtang Himal where the border to Tibet located. On leaving Nepal side of the frontier into a wild country of Tibet with fabulous mountain views of Langtang-Ganesh Himal with Shisapangma the last 14th highest mountain as drive leads over scenic passes with more views which include Everest and Cho-Oyu to reach at Shigatse second big city after Lhasa. Here with time to enjoy and explore its beautiful Tashilumpo Monastery complex and the markets to observe Tibetan traditional life and culture, and then taking a scenic route past Gyantse city and pretty lake of Yamdrok Tsho to reach at fabled city in Lhasa. In Lhasa with marvelous time with tour around important and famous sites of great historical and religious significance which includes magnificent Potala Palace and then ending our amazing experience on Tibetan Journey taking a scenic flight back to Kathmandu. 1 Day 1: Arrival in Kathmandu and transfer to hotels.On reaching Kathmandu Tribhuwan International Airport where you will be warmly received by our guide and staff and then transfer you to your respective hotels in the hub of Kathmandu city. First check into your hotel rooms on getting refreshed from the flight and with Jet-Lag, then join with other members of Tibetan Journey for group briefing, where our expert guides will inform regarding your stay in Nepal, hotels, trekking, local lodge and overland drives with do’s and don’ts information, evening welcome group dinner in authentic Nepalese restaurants with Folk cultural programs to entertain you during your meals. 2 Day 2: In Kathmandu with sightseeing tour around world heritage sites.Morning after breakfast leave the hotel for exciting guided sightseeing around Kathmandu where our city guide will lead you to places of interest, Kathmandu a metropolitan city still retaining its ancient heritage and varied ancient culture where you will visit world heritage sites around Kathmandu for half day. After an interesting tour of ancient historical and religious sites around Kathmandu afternoon free preparation for next day journey to Tibet. 4 Day 4: Drive to Kyirong 2,890 m (Kyidrong / Dzonga) County camp or in local Guesthouse.From Syabrubesi morning drive leads on newly built road that links Nepal / Tibet towards Rasuwagadhi (1800m / 15 km / 1 hr min from Syabrubesi), here received by our Tibetan counterpart guide and drivers, after completing immigration & custom formalities on both side of the frontier Nepal / Tibet at Rasuwagadhi, continue drive further to Kyirong county with first overnight stop in Tibet accommodation at local guest-house. At Kyirong afternoon with time to relax and enjoy views of Ganesh and Langtang Himal that borders Nepal and Tibet. 5 Day 5: Drive to Shegar or New Tingri 4, 350 m - 06 hrs.From Kyirong onward where Tibetan high plateau begins as morning drive leads past Tibetan farm villages to reach on top of Lalung-la Pass (5,050m) with views of Mt. Shisapangma (8013m highest within Tibet). After Lalung-la drive leads on vast Tibetan plateau with high and dry terrain to Old Tingri with first glimpse of Everest and Cho-Oyo peaks, from here few hour drive to Shegar also known as New Tingri and then transfer to your hotel or lodge for overnight stop. 6 Day 6: Drive to Shigatse 3,900 m - 05 hrsAfter being in high Tibetan plateau at Shegar, morning leads to a highest pass of the journey over Gyatsho-La over 5,220 m high and then downhill to the town of Larze, located on the road to Mt. Kailash and Friendship Highway of Lhasa & Kathmandu. From Larze town, drive is short of few hours on good road to reach at Tibet's second largest city in Shigatse drive continues past rural farm villages and well tended fields of barley-wheat and yellow mustard. After an enjoyable ride reaching at Shigatse where hotels are much better than past few night stops, in Shigatse transfer to excellent hotels with modern facilities of Wi Fi and money change at its exchange counters. 7 Day 7: Drive to Gyantse 3,950 m visit Phalkor Monastery and Kumbum Stupa -03 hrs.Morning getting refreshed with breakfast, a short drive in the hub of Shigatse for marvelous tour of famous Tashilumpo Monastery complex adorned with Golden Roofs here visit the monastery interior of great interest with tomb stupa of several late and past Panchen Lama. Panchen Lama the 2nd biggest priest and holiness after Dalai Lama (present XIV Dali Lama who is exile in India) With enjoyable tour of the monastery and the seat of Panchen Lama visit the local colorful Tibetan market and return back to hotel. 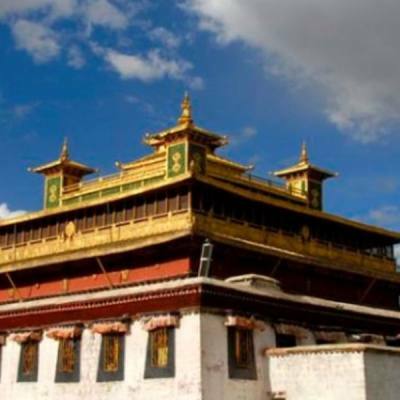 From Shigatse few hour drives leads east to reach at Gyantse another large city of Tibet, where in early 19th and 20th century was a flourishing place where trade between Nepal-Bhutan and Sikkim used to take place. On reaching at Gyantse transfer to another nice hotels or guest house with afternoon tour of old Phalkor Monastery and great terracotta Stupa of Kumbum, famous historical monuments located within great surrounding walls of this holy complex. 8 Day 8: Drive to Lhasa 3,650 m via Yamdrok Tsho Lake - 05 hrs.Morning our drive leads to our next highlight of the journey heading towards the fabled city Lhasa, drive leads past Simi-La pass within great Tibetan plateau where you can watch Yaks and other cattle grazing on huge green meadows. As the ride progress heading towards a scenic Karo-La pass of above 5,050 m with close views of Nzongkhangsa peaks at 7,100 m high where ice falls and glaciers flows near to the road head. Here enjoy the views as well observe the traditional life of Drokpa (Nomads) and Yak herder then reaching Nagarktse town and beyond towards beautiful turquoise Lake of Yamdrok Tsho then on high hills to reach another scenic Khamba-La pass at 4,800 m high. Khamba-La offers super panorama of Tibetan tableland and landscapes with distant views of snowcapped peaks and of Yamdrok Tsho Lake. From here after marveling the scenery heading downhill to come across a bridge over Yarlung Tsangpo / Brahmaputra River, slowly our overland journey reaches in the heart of Lhasa city in the backdrop of magnificent Potala Palace. In Lhasa hotels located on old east areas close to colorful and exciting Barkhor Square and its markets. 9 Day 9: In Lhasa with sightseeing tour at places of great interest.These two days engrossed with ever exciting tour around Lhasa important places of immense interest within its historical and religious sites, beginning with short drive west of Lhasa towards a hill top with tour of old Drefung Monastery, in the early day home of all high priest and Dalia Lamas before Potala Palace was built. Here visit the main prayer halls with monks on deep prayers where Drefung means a heap of rice with its white washed buildings as it looks from distance views, after a great interesting visit drive to Shera Monastery where you can witness young monks on exciting debate, which deepens their knowledge of all types to reach their priesthood. Shera monastery located north of Lhasa after an interesting time with lunch break in local Tibetan / Chinese restaurants, afternoon tour of magnificent Potala Palace known as 'Heavenly Realm' with 1,000 rooms where visitors can tour only the main important interior of 8 to 10 rooms of great significant. Potala Palace stands as Landmark of Tibet situated in the hub of the city, where high and superior priests Dalai Lama lived till the last 14th Dalai Lama, at present turn into a museum. After a grand tour head back into busy and colorful Barkhor Market Square with time to visit Jhorkhang Temple, the oldest religious sites of Tibet. As the day end in Lhasa, with time for individual activities around Lhasa before dinner time on last day in Lhasa. On reaching Kathmandu transfer to your respective hotels with time for individual activities and shopping souvenirs. 10 Day 10: Drive to Lhasa / Gongor Airport and fly to Kathmandu - 01 hr: 15 mins flights.Morning as per the given time by our Tibetan guide, depart from the hotel for an hour drive which leads outskirt of Lhasa city area and then on nice newly built highway entering few wonderful tunnels to reach at Gongar airport. Here bidding farewell to our Tibetan guides and ever smiling friendly drivers entering the terminal for visa and passport formalities with custom check. Board in Air China for panoramic flight of an hour flight to Kathmandu during air views of Himalayan chain of peaks with close views of Mt. Everest and Mt. Makalu as the flight finally lands at Kathmandu Tribhuvan International Airport. After migration and visa formalities walk outside air terminal, our staff receives you for transfer back to your hotel, with time in the afternoon for individual activities and shopping. 11 Day 11: Depart for international flight home ward bound or to respective countries.Your last memorable day in Nepal after a wonderful experience on Tibetan Journey with great service of Explorer Adventure, and as per your international flight then transfer to Kathmandu international airport for homeward bound or to your respective destinations.